By his own account, spoke little English before age 14. After father’s death, apprenticed to a tailor; ran away to Philadelphia, where he learned trade of cigar-making. Worked from early age in father's blacksmith shop; received little schooling. Apprenticed to printer, and in his teens worked for The Huron Reflector in Norwalk, Ohio, and Western Aurora in Mount Vernon, Ohio. Following graduation from local high school, worked for six years as cashier in local pool hall, which was also center for legal off-track betting. Educated at Dayton’s public schools; graduated from Central High School, where he was editor of the school paper, class poet, and only black member of his class. While still in high school founded short-lived newspaper The Dayton Tattler, printed by classmate and future aviator Orville Wright. Left school and worked as lawyer’s assistant and in counting-house, becoming self-supporting by age 15. The Gladys Krieble Delmas Foundation, a noted sponsor of scholarship in the humanities, has awarded a grant to allow The Library of America to complete the conversion of old film used to manufacture its books. 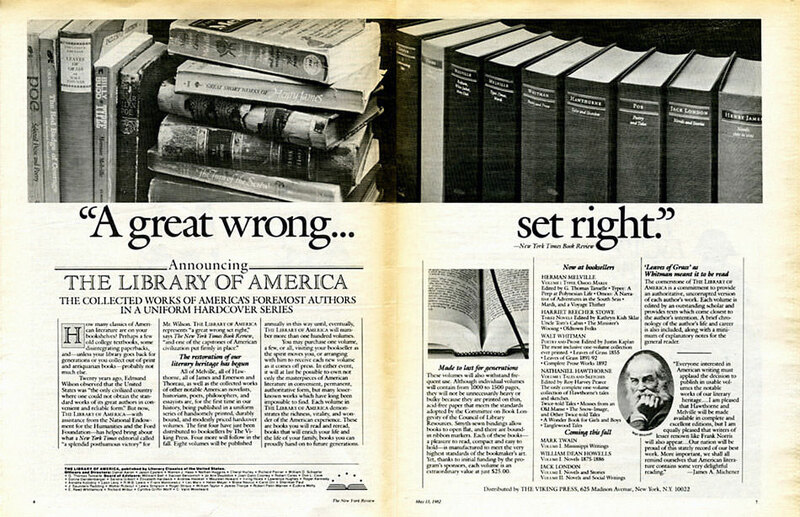 With a commitment to keep series volumes permanently in print, Library of America began publishing titles in 1982. 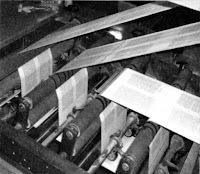 In the more than three decades since, printing technology has rapidly changed; early volumes in the series were printed using compositors, cameras, and photographic film to produce the plates used on press. Today, all major printing firms use desktop publishing and digital plates—and virtually no commercial printer is able to use the old film and plates for their presses. The challenge: the first 115 titles in the LOA series were still in film—and equally troubling was the fact some of the film in storage was beginning to show signs of age, including warping, scratches, and tears. Thus, in 2006 LOA staff began converting all its old film: digitizing 125,243 pages with ultra-high-resolution scanners; positioning the images so they will correctly align in the book; checking each scan for dust, scratches, warping, and broken letters; and retouching or re-typesetting pages that show signs of damage or wear. The generous grant from the Gladys Krieble Delmas Foundation will allow LOA staff to finish this project during the next year. In fact, the Wharton volume is already in production and will be available again in bookstores in late November. Joe Brainard taught me everything I know. I Remember is the greatest American novel that isn’t one. 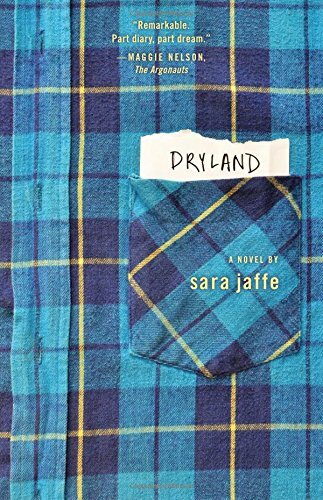 Brainard writes hundreds of sentences over the years that begin, “I remember . . .” and then tells the truth about growing up queer in Oklahoma, becoming an avant-garde painter in New York, and everything in between. It is a litany that wakes you up in its repetition. I keep it on my desk. It’s better than the Internet for browsing. The Beauty of the Husband by Anne Carson is another novel that isn’t. It asks the reader to do a lot of the work along with it, which gives me a feeling of companionship. All of Anne Carson’s books are radical, but the narrative in this one was very personal and close to me, so I keep it near. How does love work? And when it stops working, what then? David Markson is an assassin. He killed the American novel, that vampire that gets up again and again, thank god. But read Vanishing Point, or This is Not a Novel, and it’s hard to find a better companion book. Little histories of literature and art, complete in themselves, and totally different from one another. Read Wittgenstein’s Mistress, the book that seems to have taught the author how to write in his own voice. 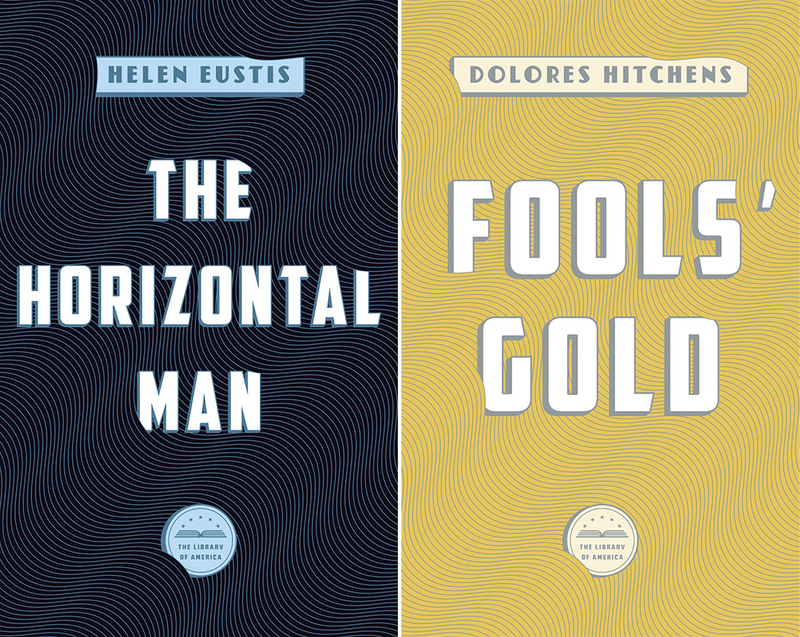 These are all novels told in the connection of ideas, one sentence urging the reader to think about its connection to the next. If there are composers who know how to use silence, David Markson is a writer who knows how to use his reader’s consciousness. Gertrude Stein’s Autobiography of Alice B. Toklas is one of the books that helped the future arrive. As with so much of the literature I adore, Gertrude Stein sees no reason to abandon humor in order to find intelligence. 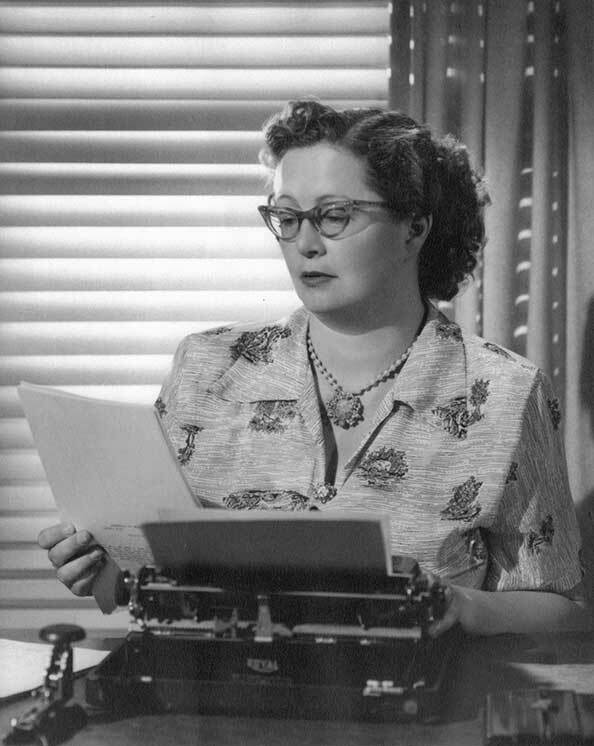 She sees no reason to abandon fact to write fiction. 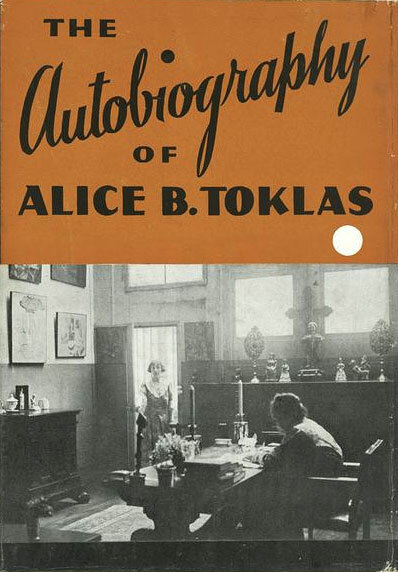 She sees no reason to let anyone else write Alice B. Toklas’s autobiography. You can go as deep as your tolerance for strangeness and meditation will allow into Gertrude Stein’s oeuvre and always be rewarded, but you can’t go very deep into literature if you won’t dive into this autobiography. Conversations with Beethoven by Sanford Friedman is the standard of avant-garde elegance. Fact: Unable to hear a lick, Beethoven had to be addressed in writing for the last year of his life. The novel takes the form of the notebooks the composer carried in which people wrote their questions and requests. The maestro spoke his answers, so his responses are not recorded in the novel. It’s a one-sided conversation between the world and a silent Beethoven, but the composer’s passion and outsize personality dominate the narrative and echo in your mind for a good while after you’ve finished the book. Imago by Octavia E. Butler is all about transformation and becoming something you’re not, both inside and out. I think the book changed me. I don’t read a lot of sci-fi, but if you can get your hands on one or two real gems a year, it’s good for your full mental range—and Butler is one of the perfect mixologists, balancing deep thought and a ripping yarn. The Girl Who Owned a City by O. T. Nelson is a weird little wonder that fell into my hands when my middle school teacher, Mrs. Bathke, either assigned it or smuggled it into my life. 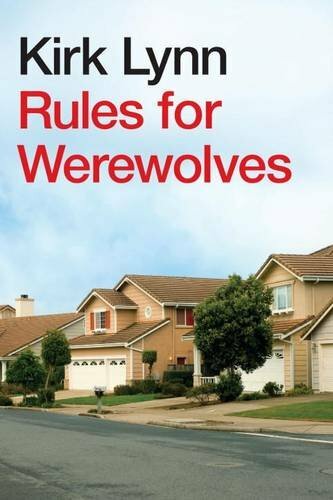 A strange virus kills off everyone on earth older than twelve and the kids have to figure out how to feed and care for themselves, including how to defend themselves from other terrible twelve-year-olds. Dystopian fiction before it was all the rage. And the author never wrote another book and no one seems to know if he’s alive or dead. 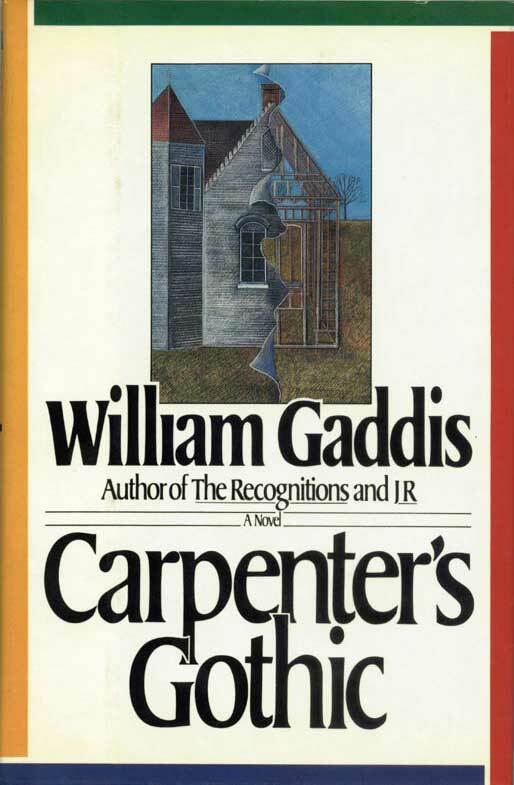 Carpenter’s Gothic could also be subtitled, for me, “the William Gaddis book I could read.” Another novel in dialogue, this one digging into the underbelly of American capitalism and colonialism. I remember falling into a trance and reading quickly. I remember reading bits of it aloud with friends. I remember there’s only one sentence of description and it’s about the leaves outside. Emily Dickinson, especially The Gorgeous Nothings, can be an angel who responds to doubt. She did her work her way and I’m not half feral enough to get as free as she was, but some corner of the idea that form is personal and the work is its own reward can protect you. And then the work itself is so revelatory and prophetic! 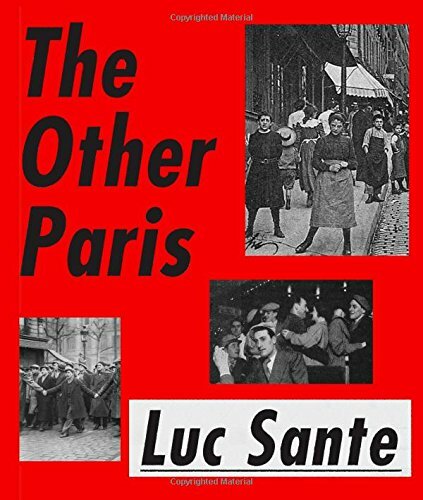 And if there is one book that inspired me after I was done with Rules and made me want to get back to the prose, it’s Dept. of Speculation by Jenny Offill. Told in short, aphoristic bursts that find some middle ground between David Markson and Anton Chekhov, this book broke my heart and made want to be a better dad and husband in addition to driving me wild with envy as a writer. And Sarah Ruhl’s 100 Essays I Don’t Have Time to Write! Short, sharp, human, hilarious thinking about dialogue and umbrellas and penises. I don’t read a lot of nonfiction or essays, either, but like sci-fi if you get the right one or two a year your brain will thank you. Because these are one hundred essays all jammed into one little book, it can count for a couple years’ worth of essay reading. You can convince yourself that James Thurber is totally legit because he was all over the New Yorker. But you know who might have a problem with that is the ghost of James Thurber. He didn’t have a high opinion of people who had too high an opinion of themselves. 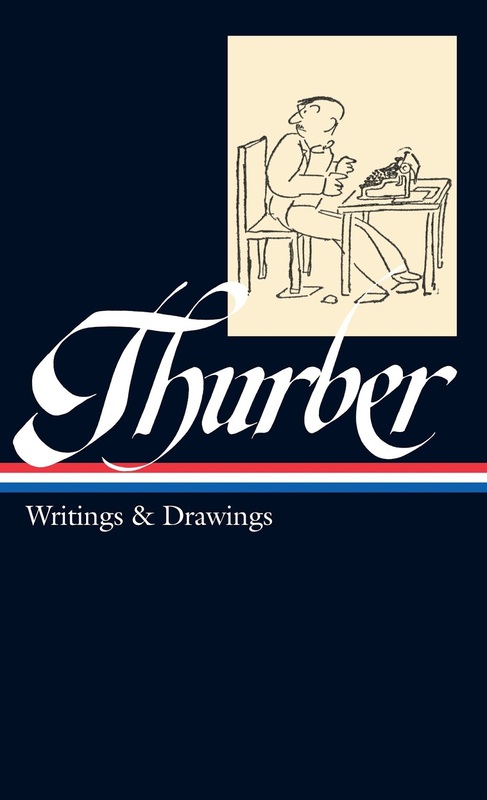 But as far as a guide for the kind of writing that doesn’t know whether it’s funny or sad, you can do no better than Thurber. And there is an openness to his formal approach to story, he captures the odd sad moment in cartoons one minute and then stretches them out to a fable and then abandons the pictures and makes short story of the captions in a sequential story like “The Secret Life of Walter Mitty” and then sometimes takes that same conceit and dips it in real sorrow like “The Whip-Poor-Will.” A great guide if you’re looking to get lost in the American voice. Kirk Lynn is one of six co-producing artistic directors of Austin’s Rude Mechanicals theater collective and also the head of the Playwriting and Directing Area in the Department of Theatre and Dance at the University of Texas at Austin. Recent works include Your Mother’s Copy of the Kama Sutra, which premiered at Playwrights Horizons in New York City in 2014, and the 2014 Lincoln Center commission Stop Hitting Yourself. 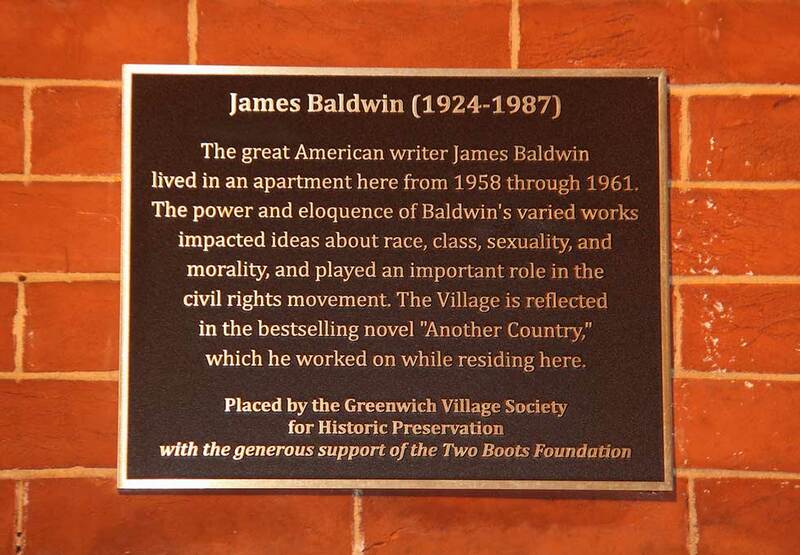 New York City laid a claim to one of its most distinguished native sons last Wednesday, October 7, when a plaque honoring James Baldwin was officially unveiled at 81 Horatio Street in Greenwich Village. 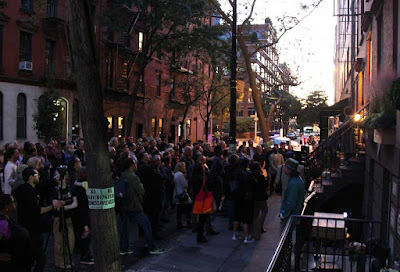 in New York City, unveiled on Oct. 7, 2015. 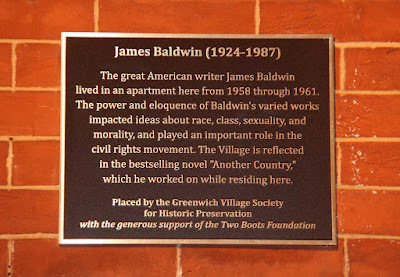 The plaque is a project of the Greenwich Village Society for Historic Preservation, with the support of the Two Boots Foundation; its unveiling made an apt coda to the recent citywide “Year of James Baldwin” marking what would have been the author’s 90th year. 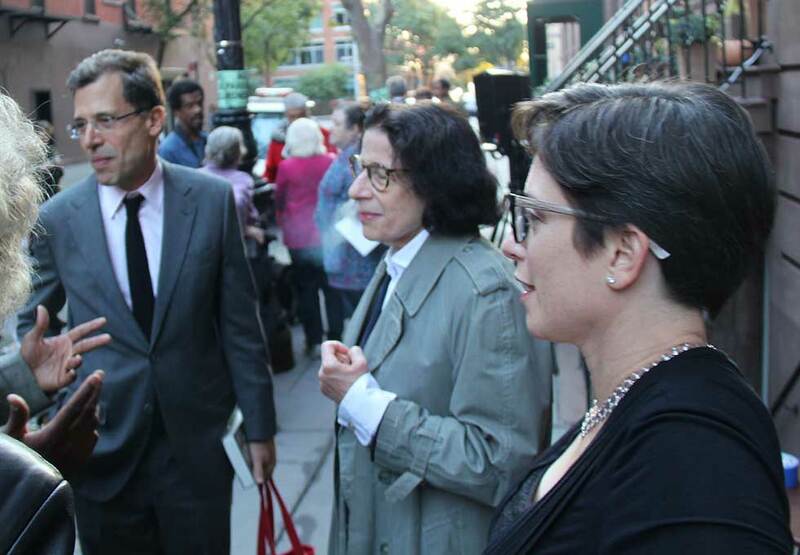 At the ceremony Library of America publisher Max Rudin was part of a roster of speakers that included James Baldwin’s nephew Trevor Baldwin, writer Fran Lebowitz, and Gregory Pardlo, winner of the 2015 Pulitzer Prize in Poetry. Enjoy photos from the scene via the gallery below, and click here for the Greenwich Village Society for Historic Preservation’s video of the complete ceremony. All photos © Greenwich Village Society for Historic Preservation. 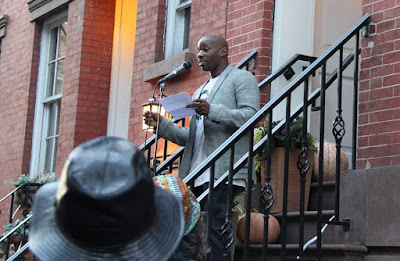 Trevor Baldwin addresses the crowd on Oct. 7, 2015. Historic Preservation before the unveiling on Oct. 7, 2015. 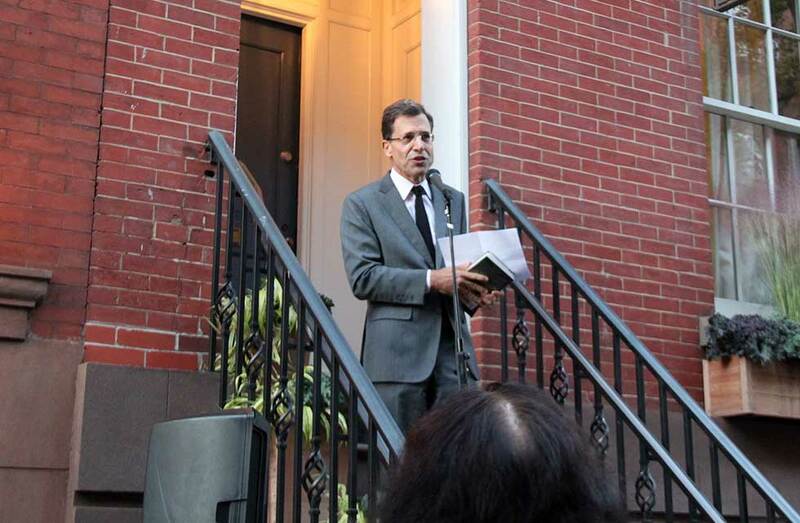 Max Rudin offers remarks on Oct. 7, 2015.
from the stoop (far right) on Oct. 7, 2015. 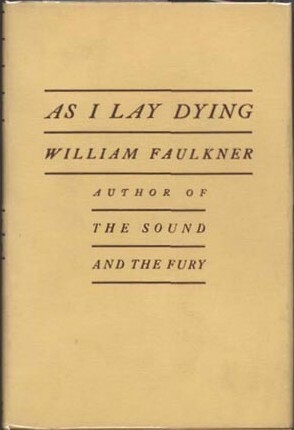 Click here for complete information on Later Novels, the third and final volume in The Library of America’s Baldwin edition. The Horizontal Man and Fools’ Gold. 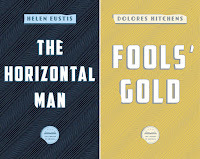 What’s old is new again this fall, when The Library of America simultaneously releases two rediscovered mystery-suspense novels—The Horizontal Man (1946) by Helen Eustis and Fools’ Gold (1958) by Dolores Hitchens—in both audiobook and e-book editions. The two works mark The Library of America's first foray into the audiobook medium. The Library of America has drawn on established talent for its inaugural audiobook productions. The reader for The Horizontal Man is veteran actress Barbara Rosenblat (Orange Is the New Black), an acclaimed reader with hundreds of titles to her credit, while Fools’ Gold is read by Scott Brick, another experienced narrator whose résumé includes literary classics like In Cold Blood and Light in August. Patti Pirooz, the former publisher of audiobooks at Penguin, produced both The Horizontal Man and Fools’ Gold. As a special bonus feature, both audiobooks include commentary by Sarah Weinman, editor of Women Crime Writers and an authority on mystery-suspense fiction. Meanwhile, e-book editions of The Horizontal Man and Fools’ Gold arrive in response to ongoing demand for Library of America books in electronic form. Click on the relevant links below for specific e-book platforms. Watch Reader’s Almanac for information on new Library of America audiobooks and e-books in the months ahead. Visit the Women Crime Writers companion website for complete information on The Horizontal Man and Fools’ Gold and their authors, along with appreciations by contemporary writers and related contextual material. Library of America fans are strongly encouraged to visit the Morgan Library and Museum in New York City for the new exhibition Ernest Hemingway: Between Two Wars, a revelatory re-examination of a writer whose outsized fame has often threatened to overshadow everything that’s best about his work. 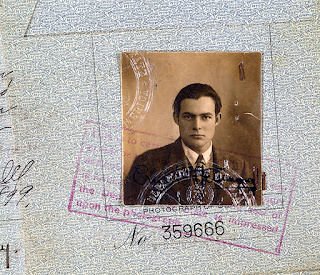 The Ernest Hemingway Photograph Collection. With an emphasis on his Paris years (1921–28) and on the craft of writing, Ernest Hemingway: Between Two Wars is unmistakably meant to supplant memories of Hemingway’s later public persona—the overbearing “Papa,” who starred in ads for Ballantine Ale and Parker 51 pens and who was invariably photographed in the pages of LIFE and Look with a shotgun or fishing rod in hand. Instead, the exhibition foregrounds the ambitious young talent with avant-garde leanings who adopted Gertrude Stein and Ezra Pound as his mentors soon after arriving in Paris and who claimed he learned how to write from studying Cezanne paintings at the Musée du Luxembourg. These were the years when he set about forging the deceptively simple prose style that would become an inescapable influence on generations of American writers. photography by Graham S. Haber, 2014. 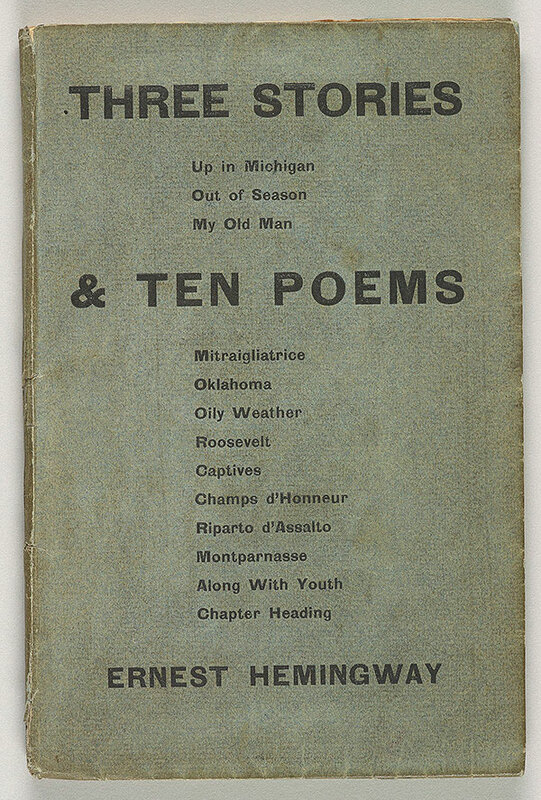 For Hemingway devotees, there will be a special appeal in seeing physical copies of his rare early publications like 1923’s Three Stories & Ten Poems (printed in an edition of 300) and the first, 1924 version of In Our Time (printed in an edition of 170). Meanwhile, many of the other items on display—such as the ticket stubs from bullfights in Pamplona and Madrid, and an encouraging letter from F. Scott Fitzgerald written on ocean liner stationery—are redolent of an old-fashioned expatriate glamour. Winding down at the close of World War II, the exhibition sidesteps the saga of Hemingway’s later years, when drinking, depression, and a staggering number of medical problems took their toll on both his writing and his psyche. Yet the Morgan’s curator, Declan Kiely, manages to close on a fascinating forward-looking note. One of the last items on view is a 1945 letter to Hemingway from J. D. Salinger, written when the latter was recovering from what was then euphemistically known as “combat fatigue” in a U.S. Army hospital in Nuremburg, Germany. 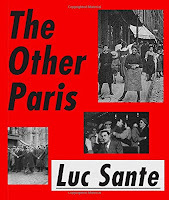 The two men had met briefly in Paris just after its liberation in 1944, an encounter Salinger recalls as “the only helpful minutes of the whole business.” It’s increasingly a critical commonplace to read The Catcher in the Rye as a kind of sublimated war novel, but the less obvious parallel is between the stark purity of Hemingway’s early stories and the Zen distillations of Salinger’s short fiction, which date from more than a generation later. By drawing that line, the exhibition hints at some tantalizing potential affinities that can enhance our appreciation of both authors and of American writing over a forty-year period. 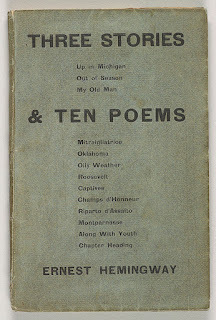 Ernest Hemingway: Between Two Wars is on view at the Morgan Library & Museum in New York City through January 31, 2016. Visit themorgan.org for complete exhibition information. 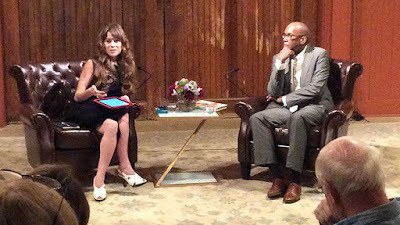 at The Mount in Lenox, Massachusetts on Sept. 17, 2015. 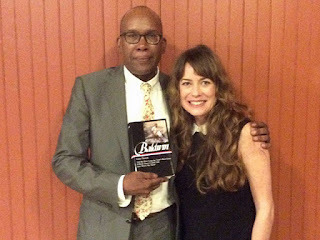 In a moment of literary serendipity last Thursday, one writer in The Library of America series was honored at the home of another when James Baldwin was the subject of a public program at The Mount, Edith Wharton’s former estate in western Massachusetts. Darryl Pinckney, editor of the forthcoming LOA collection James Baldwin: Later Novels, joined journalist and critic Kate Bolick for a talk on contemporary race relations and how Baldwin’s writings continue to resonate in twenty-first-century America. The conversation kicked off the latest season of “Touchstones at the Mount,” an ongoing series of author talks hosted by Bolick. By coincidence, James Baldwin: Later Novels will be published one week from today–on the same day as Edith Wharton: Four Novels of the 1920s, the fifth installment in The Library of America edition of Wharton’s collected works. In addition to editing the forthcoming Baldwin volume for The Library of America, Pinckney is the author of the novel High Cotton and the nonfiction works Out There: Mavericks of Black Literature and Blackballed: The Black Vote and US Democracy. Bolick, a contributing editor for The Atlantic, is the author of Spinster: Making a Life of One's Own, a combination of memoir and cultural criticism that includes a lengthy consideration of Edith Wharton’s life and work. in Lenox, Massachusetts on Sept. 17, 2015. Watch Readers’ Almanac in the weeks ahead for more on both James Baldwin: Later Novels and Edith Wharton: Four Novels of the 1920s. Photographs courtesy of The Mount. Is Edith Wharton’s The Age of Innocence the greatest novel about New York? 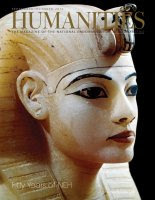 An origin story that is near and dear to us reached the public last week with the publication of “Edmund Wilson’s Big Idea,” a detailed history of The Library of America’s founding by David Skinner that appears in the September/October issue of Humanities, the magazine of the National Endowment for the Humanities, and online at neh.gov. Skinner’s intricate, inside-baseball account makes it clear that the LOA had a long gestation period, stretching across decades—which perhaps isn’t surprising for a nonprofit literary enterprise. What may grab readers’ attention, though, is how close the Library came to not happening at all. The original inspiration dates back to the 1950s, and to the critic Edmund Wilson, who had long complained of the lack of authoritative, readily available editions of seminal American authors. Wilson had in mind a U.S. equivalent to the French Bibliothèque de la Pléiade: reference editions of the classics in an inexpensive format. While he was able to recruit influential allies for his venture, his efforts to secure the necessary funding never came to fruition, despite the founding of the National Endowment for the Humanities in 1965. After that, years of competing proposals and various forms of academic and institutional politics kept his dream from becoming reality until the late 1970s, well after Wilson himself passed away in 1972. And even then, as Skinner shows, launching the project was a close-fought battle. Skeptics argued that the proposed books would be too bulky. They would be too uncommercial—or they wouldn’t be scholarly enough. But years of tireless advocacy and shrewd politicking by the team who succeeded Wilson—“a rough synthesis of scholarship and New York City publishing brio,” in Skinner’s words—finally led to a Ford Foundation grant of $600,000 and a National Endowment for the Humanities grant of $1.2 million in early 1979. 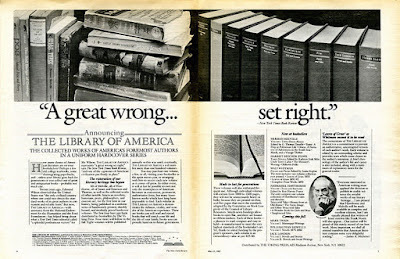 The Library of America's first print ad, May 1982. 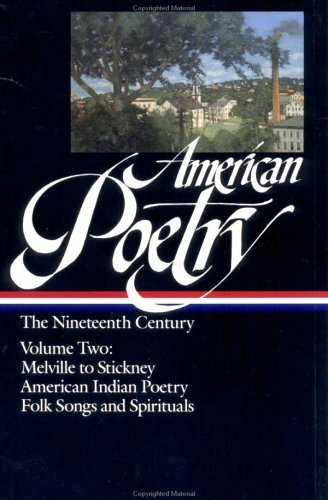 The rest, as they say, is literary history, and it would take an article at least as long as Skinner’s to do justice to the Library of America story since then. 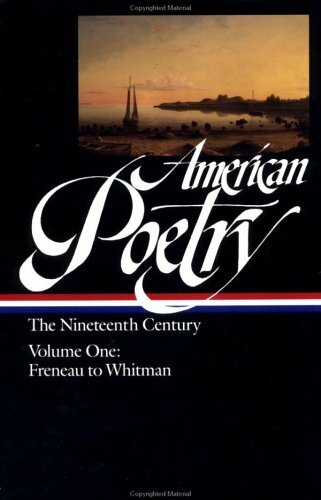 Its first four titles—collections of Herman Melville, Nathaniel Hawthorne, Walt Whitman, and Harriet Beecher Stowe—went on sale in early 1982, and years later Edmund Wilson himself entered the pantheon, via a two-volume set that amasses his essays and reviews from the 1920s through ‘40s. Perhaps the happiest note to conclude on is to mention that while in 1982 the first Library of America print ad [above] proudly predicted, “eventually the series will number more than one hundred volumes,” our upcoming James Baldwin: Later Novels, publishing later this month, is number #272 in the series.